Apple is likely to win a permanent injunction against infringing Samsung products, thanks to a decision made by the U.S. Court of Appeals for the Federal Circuit. The court's three-judge panel issued an opinion on a separate case last week, related to snowplows, in which the judges ordered the district court to grant a permanent injunction it had previously denied. Intellectual property expert Florian Mueller of FOSS Patents said on Tuesday that the decision means Apple is "reasonably likely" to earn a similar victory from the same appeals court, even though the products in question are very different. District Court Judge Lucy Koh denied Apple a motion for injunction against patent infringing Samsung devices in December. In all, Koh denied Apple's request to permanently ban 26 Samsung products that a jury found infringe on patents owned by the Cupertino, Calif., company. 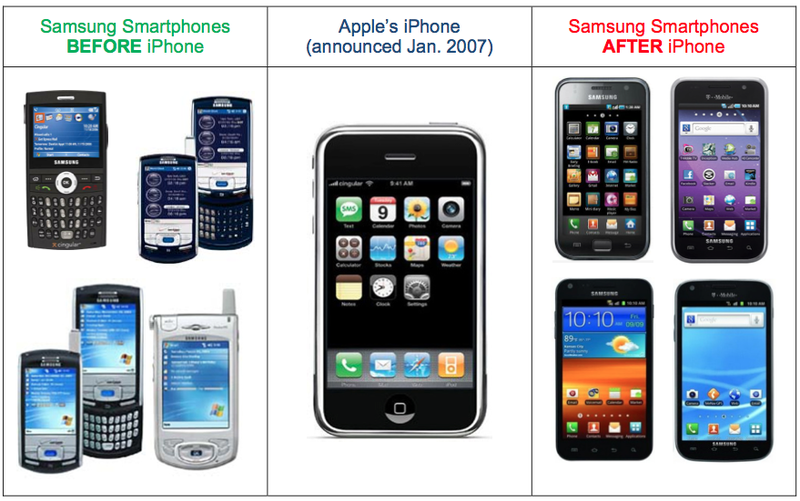 The details of the Apple-Samsung case bear "amazingly striking parallels" to the Douglas Dynamics, LLC v. Buyers Products Company decision made by the Federal Circuit last week, Mueller said. That's led him to presume that Koh's rejection of Apple's interest in an injunction could be overturned. "If Judge Koh had to rule on Apple's post-trial request for an injunction again and had to apply the Douglas Dynamics logic, she would have no other choice but to grant Apple a multi-patent permanent injunction against Samsung," he said. Accordingly, Apple has already cited the Douglas Dynamics decision in an appeal filed with the Federal Circuit. It includes a quote from the snowplow-related decision that Mueller noted could be reused word-for-word to describe Apple's ongoing patent dispute with Samsung, which is instead related to smartphones and tablets. "Where two companies are in competition against one another, the patentee suffers the harm  often irreparable  of being forced to compete against products that incorporate and infringe its own patented inventions," the three Federal Circuit judges wrote in the Douglas Dynamics decision. The Apple v. Samsung case resulted in a $1.05 billion verdict for Apple last August, after a jury found that Samsung had infringed on Apple's patented inventions. The case remains in post-trial proceedings, with a Nov. 12 date set for a new trial that will recalculate the $450.5 million in damages Koh vacated in March.